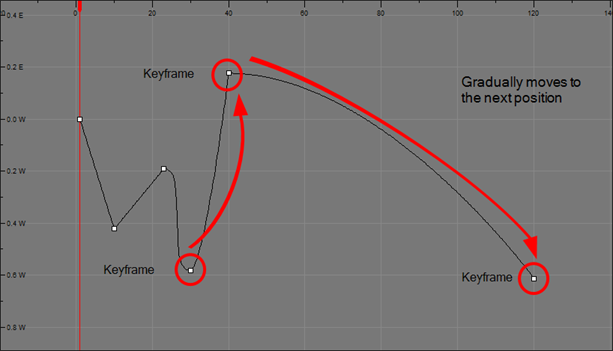 In motion keyframes, there is no automatic interpolation created between the selected point and the next one. The layer will maintain its position until the animation reaches the frame of the next point and will then jump to the new position. Deselect this option to generate interpolation and get the layer to progressively move to the next position.